This autumn, all-day restaurant The Anthologist brings a taste of the Cornish coast to London. Partnering with leading West-Country craft brewery, Harbour Brewery, the venue will have a selection of Harbour beers on tap and serve a rotating menu of weekly specials created using pork reared at the Harbour farm. Each menu item has been designed by head chef Yann Baril to showcase the pork as the star ingredient and during the period there will be the option to enjoy a bespoke beer flight, sampling three selected Harbour beers from the range. There will also be the option to book onto one of two special VIP dinners. Taking place on 7th and 14th November in the private dining room, the evening will serve a menu of seared Cornish scallops with black pudding and apple compote; confit pork cheek with crushed celeriac and whole grain mustard; and raspberry tartlet with soft meringue and Cornish yoghurt ice cream. Each course will come paired with a beer and the evening will commence with a cheese plate. 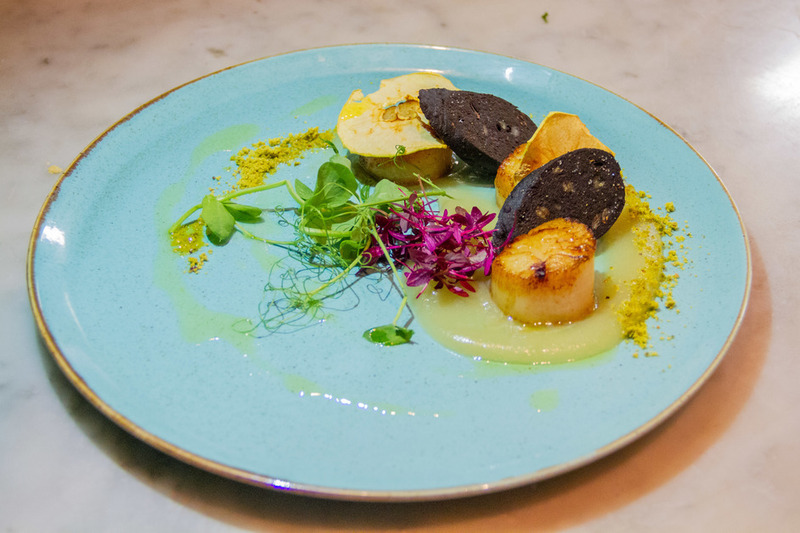 What are the best dining options near Harbour Nights by The Anthologist London? Harbour Nights by The Anthologist gyms, sporting activities, health & beauty and fitness. The best pubs near London Harbour Nights by The Anthologist. Harbour Nights by The Anthologist clubs, bars, cabaret nights, casinos and interesting nightlife. Where to have your meeting, conference, exhibition, private dining or training course near Harbour Nights by The Anthologist. From cheap budget accommodation to luxury 5 star suites see our deals for The Anthologist hotels, including Club Quarters Gracechurch from 82% off.